The entire experience has broadened my knowledge-base and helped to refine my organizational skills thus giving me the courage to strive for higher goals. With the increasingly changing healthcare industry, the need for distinguished and skilled nurses has never been more prevalent. Designed for nurses holding an unencumbered RN license issued in the U.S. or in a jurisdiction that is an associate member of the National Council of States Boards of Nursing, Norwich University’s RN to BSN degree completion program addresses the specific learning needs to deepen nursing knowledge, leadership skills, and evidence-based practice to better serve patients, the community, and your career. Whether you want to enhance your skills, prepare for a master’s degree, or expand into a different healthcare field, Norwich’s online RN to BSN program can provide the necessary means to help improve skills in diagnosing and evaluating nursing interventions, and positively impact patient outcomes. Coursework is rigorous, relevant, and immediately applicable to your career. Fast track to Norwich’s Master of Science in Nursing program upon completing the BSN program. Norwich University's nursing programs are accredited by the Commission on Collegiate Nursing Education. 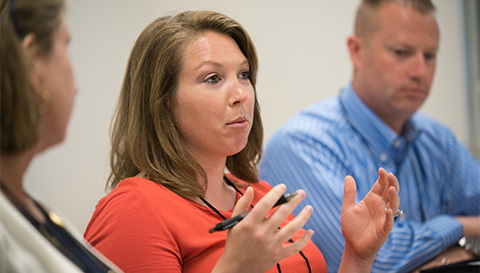 The RN to BSN program coursework will delve into professional research, care models, leadership, management, and participation in the policy process. Whether you want to sharpen your skills, advance in your current career, or prepare to continue into a master’s program, Norwich’s flexible virtual classroom allows you to access program content and contribute to class discussions on your own schedule each week, anywhere, anytime. During Norwich's Bachelor of Science in Nursing program, you will complete 11 core and capstone courses (33 credits). The courses can be completed entirely online in 18 months or less. The Norwich BSN program consists of 132 total credits (including transfer credits). Core courses are designed to build skills in professional research, leadership, and the policy process. In the Capstone project students will explore issues of individual interest in nursing at a deeper level. Elective courses are available to students that need to complete the 132 total BSN program. Students complete the following coursework. The program's coursework culminates with the capstone. This course focuses on the use of basic concepts from nursing, nutrition, integrative therapies and biophysical sciences, as well as Healthy People 2020 to explore the determinates of health, wellness, and illness of individuals. Environmental, and sociocultural economic and lifestyle factors that influence health will be discussed. This course provides the beginning foundation for an understanding of the relationship of nutrition to physiological and pathophysiological functions. Evaluation of health information as relevant and reliable will be incorporated as a foundation for health promotion. Prerequisite: NR 104 (C+), BI 215 (C+). This course stresses the ethical and legal issues, including privacy and security, related to electronic systems in healthcare. It is designed to provide students with an introduction to and an initial experience of accessing information from a variety of sources, including information systems and technologies as the foundation for evidence-based practice, clinical-decision support tools, the electronic health record (EHR) and quality improvement systems. While Nursing Informatics is a highly specialized field, this course provides foundational informatics competencies that all practicing nurses and graduating nursing students should possess to meet the standards of providing safe, quality, and competent care. Pre-requisite: NR 105 (C+), NR 206 (C+), CH 102 (C+). Introduces clinical based nursing information technology. Nurses are expected to provide safe, competent, and compassionate care in an increasingly technical and digital environment. A major theme in healthcare environment is the increase of information systems and technologies to improve the quality and safety of patient care. This course provides foundational informatics competencies that all nurses should possess to meet the standards of providing safe, quality, and competent care. Prerequisites: NR 232 (C+), NR 206 (C+), CH 102 (C+), PY 220. This course builds upon the student’s prerequisite biological/chemical science courses. Students begin a comprehensive study of human pathophysiology and the application of pharmacotherapies commonly encountered with each of these disease processes. Epidemiology, disease state presentation with common clinical evaluations, mortality and morbidity will be addressed. At the conclusion, students demonstrate cumulative knowledge of the pathophysiologic and pharmacologic processes utilized in the care of and promotion of health and wellness across the lifespan. Evidence based practice for use, cost, ease of administration, compliance and efficacy will be discussed. Pre-requisite: BI 220 (C+), CH 102 (C+), NR 215 (C+), NR 217 (C+), NR 225 (C+). In this course students focus on theoretical foundations and conceptual principles of nursing leadership and the skills necessary to practice leadership competently in healthcare environments. The course is designed to enhance leadership self-awareness and to encourage students to fashion personal perspectives on how to lead professionally. Analyzing trends and issues in the current healthcare system has implications for exercising leadership and will help students determine the way they can make a difference. 3 lecture hour Prerequisites: NR 316 (C+), NR 316L (C+), NR 365 (C+), or permission of the instructor. In this course students learn current theory and research about contemporary practices in community/public health nursing. In population-focused nursing, the group, aggregate, community, or population is the unit of care. Epidemiologic studies have shown that lifestyle, environmental and genetic factors are major determinants of population health. Students will work collaboratively with community agencies to address population-focused health issues. Classroom 3 hours Prerequisites: NR 416 (C+), NR 420 (C+). Co-requisite: NR 431L. In this course, students will apply concepts of community/public health in planning population-focused care to groups, aggregates, and communities. 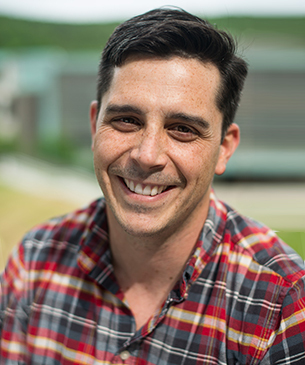 Clinical experiences are a combination of virtual simulated scenarios and individual community projects to engage students with their own communities and community resources in addressing community/public health issues. Students are encouraged to clarify their own beliefs and values in order to provide nonjudgmental nursing care. Co-requisite: NR 431. In this course the student begins to transition to the role of graduate nurse and explores issues relevant to contemporary nursing practice including the ethics and regulation of practice. Local, state, national and international policies and initiatives and their influence on health of populations are examined. Students create and implement an approved capstone leadership project which is undertaken with guidance of faculty and clinical partners and reflects integration of all elements of the BSN curriculum. Classroom 2 hours; seminar leadership project 2 hours. Prerequisites: NR 416 (C+), NR 420 (C+). In this course students will study current theory and research about contemporary practices caring for clients and their families at the end of life. It teaches students effective interaction skills with clients, families and health care providers. Throughout the course, students develop their use of self as a therapeutic tool and focus on a holistic approach to assessment and care of persons with a variety of life-limiting illnesses/diseases. Interventions will be discussed regarding the physical care as well as psychological, social, cultural and spiritual care of clients and their families as they face life’s final journey. Classroom: 2 hours. Prerequisites: NR 321 (C+), NR 331 (C+), NR 365 (C+), NR 341 (C+). We can evaluate your prior learning to help you maximize the number of transfer credits you bring into the BSN program. Ready to begin the RN-BSN program at Norwich? Start your application now for the next term. Norwich provides a top-notch educational experience; we also work hard to help make it affordable. There are many options for financial aid and several strategies to help you finance your education. It’s no doubt that the nursing field is rapidly growing and in need of well qualified nurses. 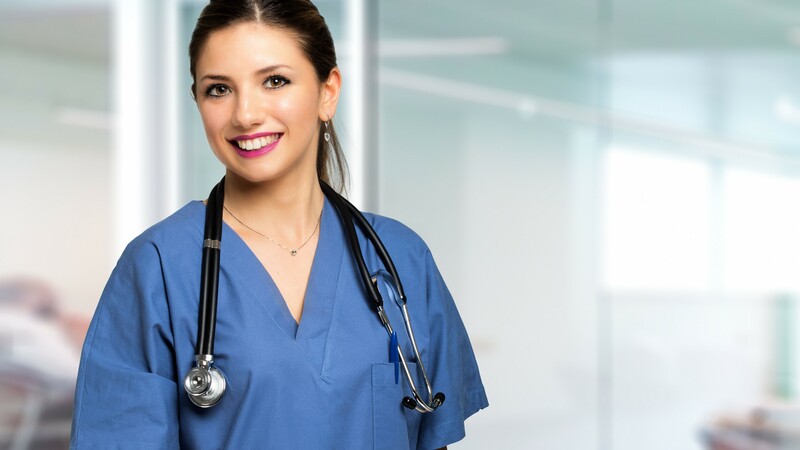 According to the U.S. Labor Department’s Bureau of Labor Statistics, the number of job openings for registered nurses will increase by 15% -- faster than the average job increase. Earning a Bachelor of Science in Nursing can position you to be a highly coveted nurse leader. The Bachelor of Science in Nursing can open new opportunities for growth in your career. Nursing professionals who hold a Bachelor of Science in Nursing are eligible for 88% of nursing positions, compared to 55% for those who hold an RN with an Associate Degree in Nursing or diploma. BSN graduates also can expand their healthcare options to positions in nursing education, research, health systems, community, and more. Our BSN faculty are subject matter experts in their fields and all hold master's degrees or higher. Each are here to help you reach your academic, professional, and personal goals. In addition, our staff members are available to answer your questions. Paulette Thabault, DNP, APRN, JD, FAANP, is a professor and director for the School of Nursing at Norwich University. As an adult nurse practitioner, she also practices at Goodhealth, an internal medicine practice within the Community Health Center of Burlington practices in South Burlington, Vt., where she cares for patients with a focus on the treatment of obesity and related chronic diseases. She has lectured in healthcare leadership and policy at the University of Vermont and Northeastern University and has consulted on patient-centered and clinical excellence practice innovations. These include establishing an Intensive Behavioral Treatment for Obesity program, developing a nurse practitioner residency program for retail health in collaboration with Northeastern University, consulting on Patient Centered Medical Home transformations, wellness initiatives and on-line nursing education innovations. She holds an AD in nursing from the University of Vermont, a BSN from University of Washington, an MSN from Simmons College, and a DNP from Northeastern University. She also holds a JD from New England School of Law and is a Fellow with the American Association of Nurse Practitioners. She previously practiced at Massachusetts General Hospital and held positions of commissioner and deputy commissioner under Governor Douglas in the State of Vermont, chief nurse practitioner officer for CVS Minute Clinics and director of Accelerated Bachelor of Science in Nursing and Direct Entry Graduate online programs at Northeastern University. She was past vice president for the Vermont Nurse Practitioner Association and served on the policy and research committees. She currently serves on the Vermont Board of Nursing, Advanced Practice Registered Nurse sub-committee and is the current board president of Lund, an organization dedicated to helping families thrive with programs aimed at breaking the cycles of poverty, violence and addiction. She also volunteers internationally leading nursing and nurse practitioner students on community health care brigades delivering care to impoverished villages in Nicaragua. 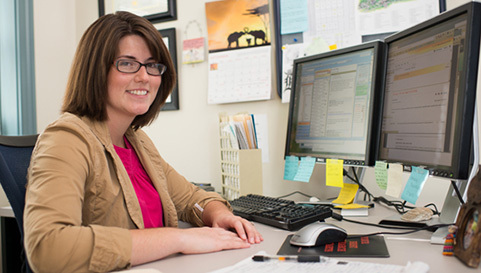 Meet graduates from our online bachelor's programs. 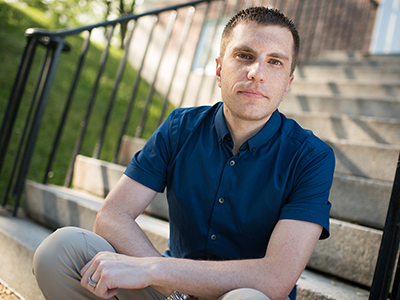 From the very beginning of submitting my application to graduation day, the one-on-one interaction with the faculty and staff made me feel a part of the Norwich family.